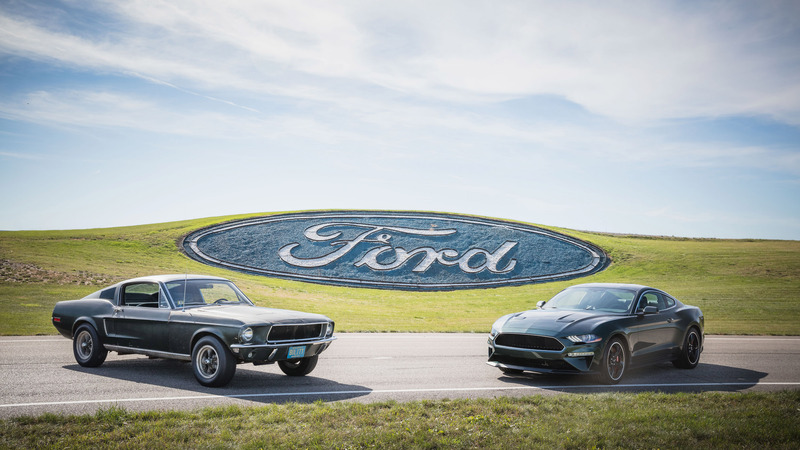 Steve McQueen’s seminal movie Bullitt turns 50-years old this year and to celebrate, Ford has seen fit to unleash a special edition modern Mustang that is positively dripping in reverences to the original 1968 GT fastbacks used during filming. 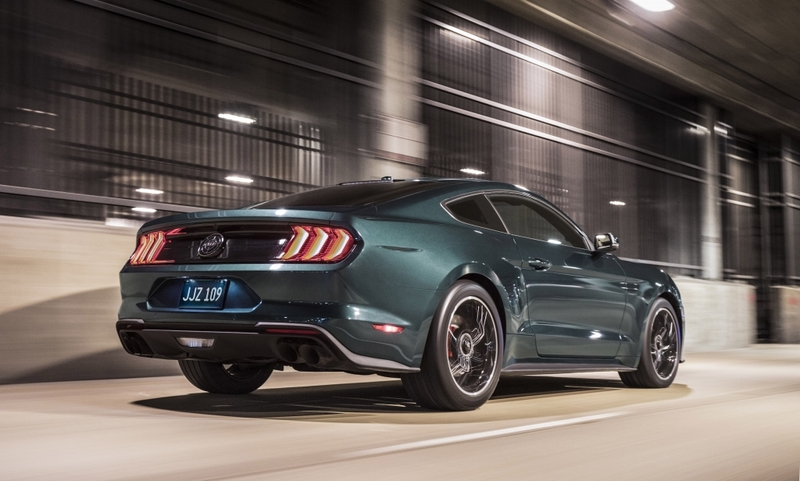 Available to buy this summer, the new Mustang Bullitt features a tuned version of the standard 5.0-litre V8, meaning it now delivers 475hp and can propel the vehicle to a raised top speed of 163mph. Perhaps more important to fans of the movie is the numerous nods to the original fastbacks, including the recognisable Dark Highland Green exterior paint and the manual transmission that is decked out with a white cue ball shift knob. 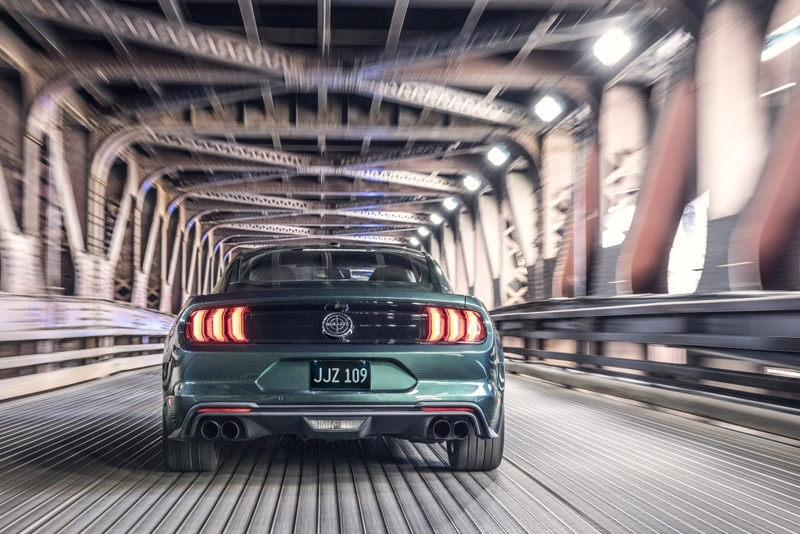 On top of this, all Bullitt Mustangs receive an active valve performance exhaust system with new Black NitroPlat exhaust tips, which has been specially fettle to give the vehicle an iconic burble at idle. Performance is further boosted thanks to an Open Air Induction System and an intake manifold from the Shelby GT350, as well as boosted 87mm throttle bodies and a powertrain control module calibration set for optimal performance. There is no word on price just yet but it is likely to sit at the very top of the Mustang range, so except standard equipment to include a heated leather steering wheel and a 12-inch all-digital LCD instrument cluster, torque thrust 19-inch aluminium wheels, red painted Brembo brake calipers, and a unique black front grille. Customers will also be able to specify navigation and some active safety features for an additional outlay, as well as semi-active suspension and Recaro seats. “This new Bullitt is, as Steve McQueen was, effortlessly cool,” said Darrell Behmer, Mustang chief designer. “As a designer, it’s my favourite Mustang – devoid of stripes, spoilers and badges. It doesn’t need to scream about anything – it’s just cool”. The vehicle is currently on display at the North American International Auto Show in Detroit.